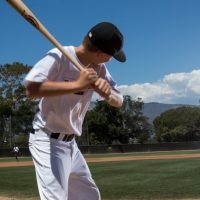 Your player will participate in a camp with drills and games to improve and reinforce the fundamentals of baseball. The camp will be run by Justin Glyshaw, previous Cedar Springs Varsity Coach and current JV Coach. He was an All-State HS player from Yale HS. He then went on to pitch for Aquinas College and play semi pro baseball with the Steelheads. He has coached travel ball the past 5 years including teams in the Rebels and Diamond organizations. He currently coaches a team with River City Prospects. Come work on your skills with him while focusing on potentially trying out for travel baseball. This program is intended for players with experience in the sport and that are looking to take their game to the next level. DEADLINE TO REGISTER IS JULY 9TH, additional $5 AFTER.